Recently one of our followers on Only In New York’s Instagram tagged us in a beautiful shot and shared in her caption that “New York’s nickname should be changed to the “Hidden Gem” state…. nature is boundless here!” – and I couldn’t agree more! 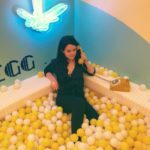 No matter how long you’ve been a resident of New York, it always feels like you’re discovering something new that you never realized existed right here in our backyard. 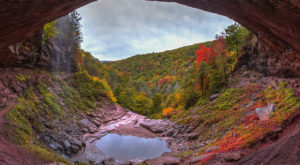 With that said, why plan an expensive vacation away when there’s still so much to see and do here in your home state? All throughout the Empire State, you can find little pieces of paradise that will make you feel like you’ve been transported down to the Caribbean. So ditch the long flights and keep your money in your wallet, it’s time to think about planning the ultimate staycation to one of these beautiful utopias. 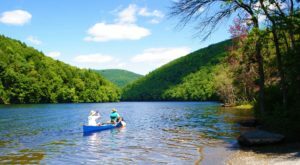 Head out towards the eastern end of the Finger Lakes Region and you’ll come across one of the most blue bodies of water that you’ll ever find in New York. 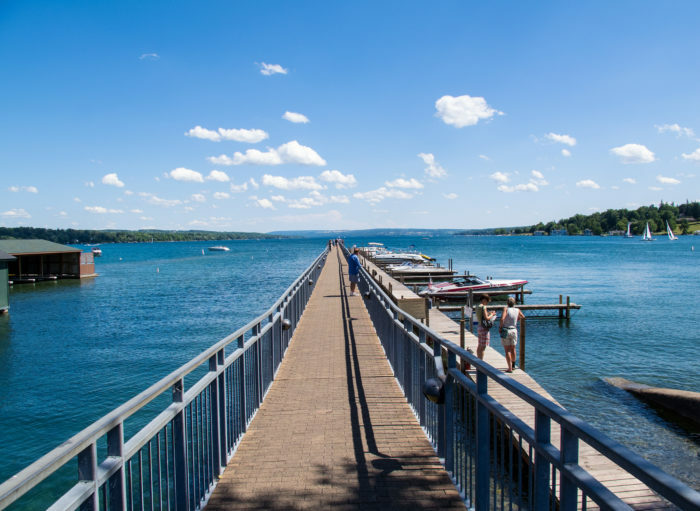 Visit the small town of Skaneateles that sits along the northern shore of Skaneateles Lake and you’ll have pristine views of the water that will completely captivate you. 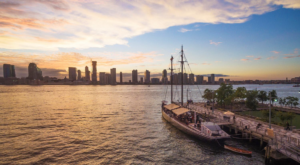 Head out to the waterfront where Clift Park is in the heart of town and you can even walk out onto the town’s pier, giving you panoramic views of the crystal-clear and vibrantly blue water. From waterfront restaurants and parks, there’s plenty of ways to enjoy a staycation around Skaneateles Lake. Out in Monroe County where Rochester meets Lake Ontario, Ontario Beach Park covers almost 40-acres along the shoreline. 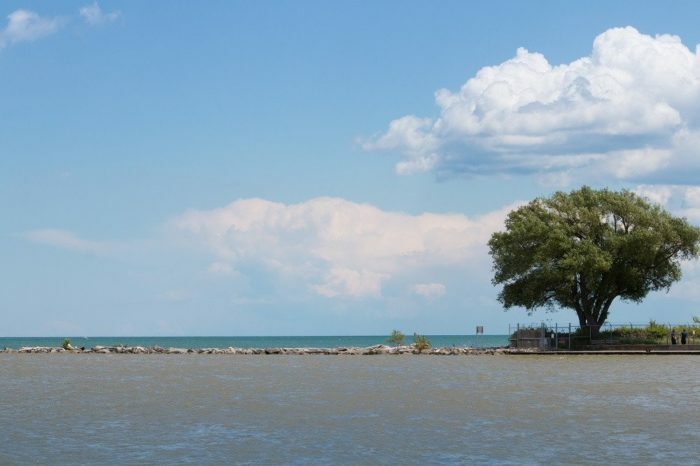 Known for being one of the best natural sand beaches within the Great Lakes, the park is a wonderful place to go for a picturesque stroll all year long and to simply hang out by the water. During the summertime visitors can take advantage of swimming at the beach or even enjoy free concerts that are held here every Wednesday. The ultimate day trip to add to your never-ending bucket list! 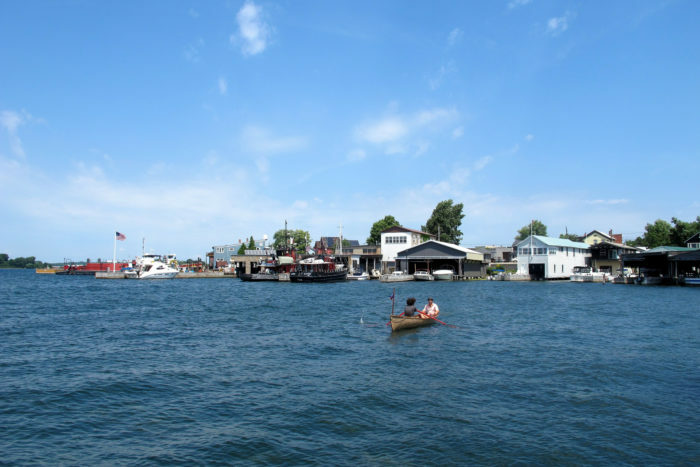 A small town that’s only home to about 5,000 residents, Clayton is situated up north along the St. Lawrence River. All throughout Clayton, you can find waterfront hotels and beautiful parks that are right along the river, a body of water that’s known for having out-of-this-world hues. A great way to experience this Caribbean-like destination is to go for a glass-bottom boat ride through companies like Clayton Island Boat Tours. Taking you out onto the river, the middle of the boat features a glass bottom that you can look through to see deep down into the crystal-clear water that’s hiding things like amazing wildlife and even shipwrecks right in plain sight. 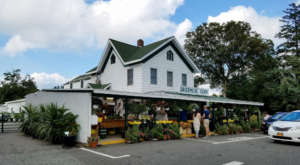 If you need another place to stop in town, you also won't want to forget that Clayton is home to the Antique Boat Museum that offers rides on the river and sunset cruises! 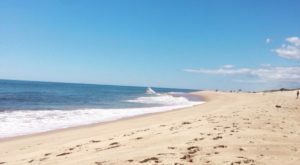 Known for being one of the best beaches out on Long Island, Coopers Beach in Southampton will make you feel like you've traveled to another oceanic planet. 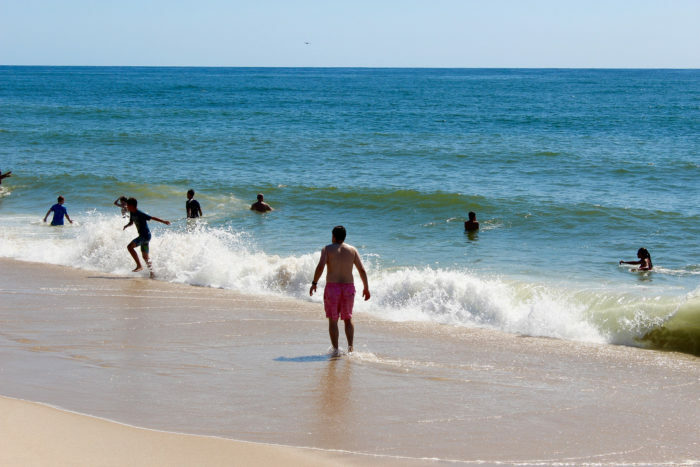 There are tons of oceanfront places out on Long Island that will make you feel like you're worlds away from it all, but the water and pristine sand here at Coopers Beach isn't comparable to anything else in this area. While you may have to pay more for parking than you would probably care to, it's worth every dollar to spend the day here instead of traveling off to some far away island that will cost you a pretty penny. As you're sitting on the soft beach, you'll have historic mansions at your back and a breathtaking view of the ocean right at your feet. Who could ask for more? Yes, this state park may be named after Green Lake, but you’ll often find that the water here in the park’s two lakes often looks quite blue! 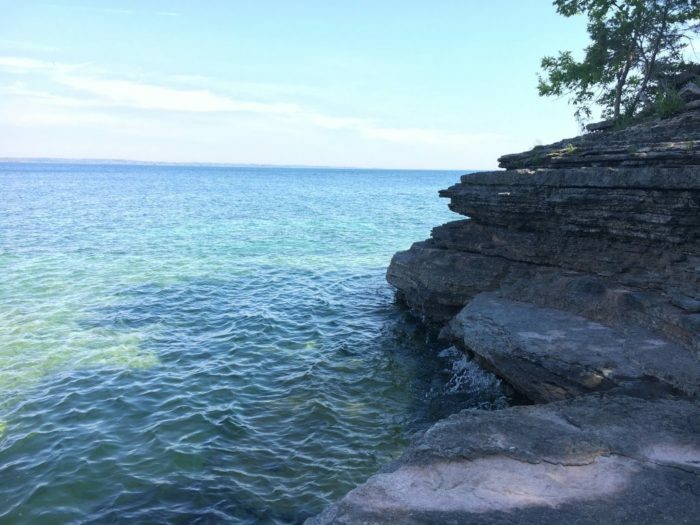 One of the most jaw-dropping natural wonders that you can visit in New York, explorers making their way through this state park can enjoy waterfront hiking trails, fishing opportunities, and even a gorgeous beach at the northern end of Green Lake. A rare body of water that you can only find in a handful of places around the world, there’s nothing else quite like what you’ll find here at Green Lakes State Park. 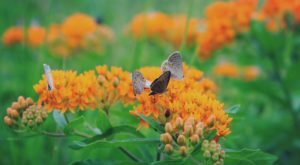 Secluded out in the lower half of Jefferson County, the tiny town of Henderson features the breathtaking Robert G. Wehle State Park. Covering more than a thousand acres of land, this beautiful slice of paradise only actually became a state park back in 2004. 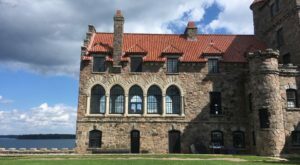 Formerly a private property along Lake Ontario, now the state park features over ten miles of hiking trails and has over three miles of gorgeous shoreline. 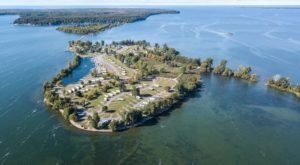 A popular place to go camping out by the water, you'll have endless views of Lake Ontario and will be nothing short of amazed of how clear and beautiful the water is up here. A place that will truly take you away from it all, you'll have to pinch yourself once you arrive at Cupsogue Beach County Park just to make sure that this place is actually real. 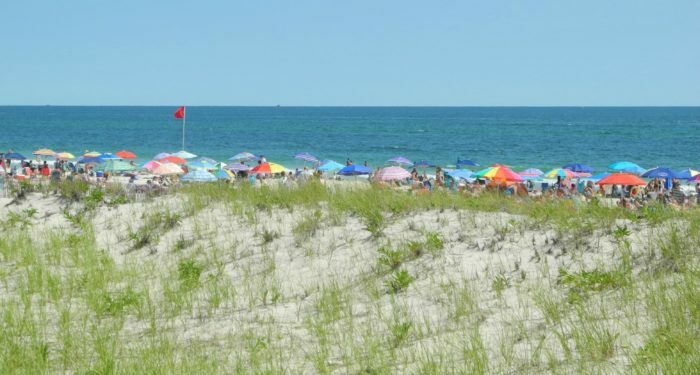 Located on the very east end of Fire Island, this county park has a nearly 300-acre barrier beach that will leave you surrounded by white sand and coastal paradise that you'll never want to leave. Throughout the year the park has supervised swimming and makes for one unforgettable place to go for a walk on the beach. Which destination in the Empire State makes you feel like you’re on an exotic island? To plan an adventure to more waterfront paradises, read about how The Hike To This Secluded Waterfall Beach In New York Is Positively Amazing!